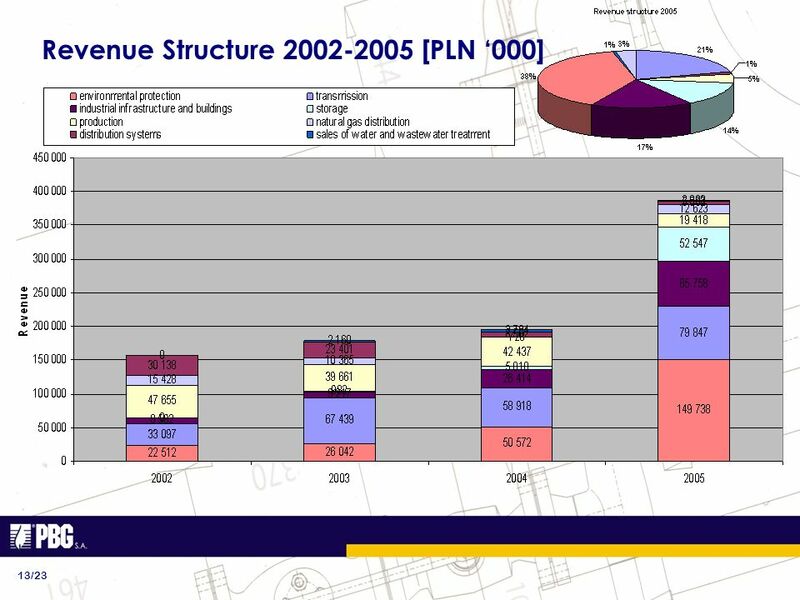 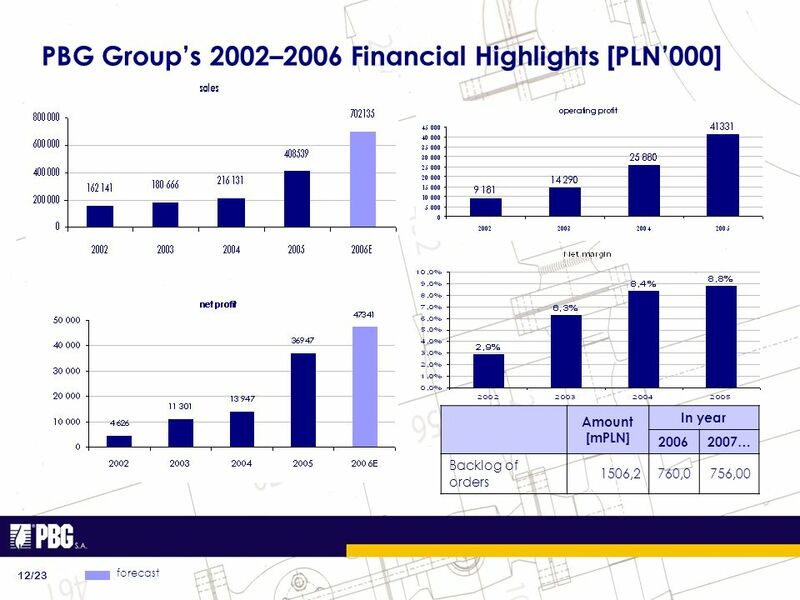 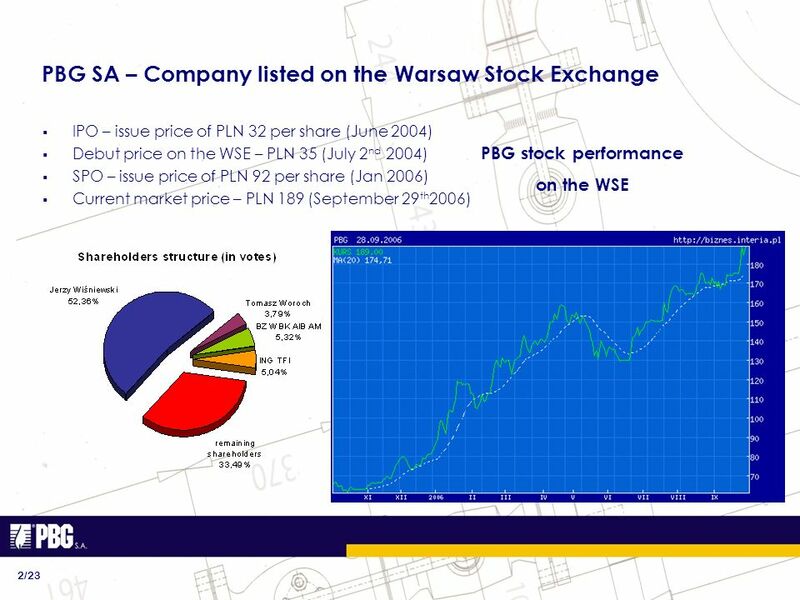 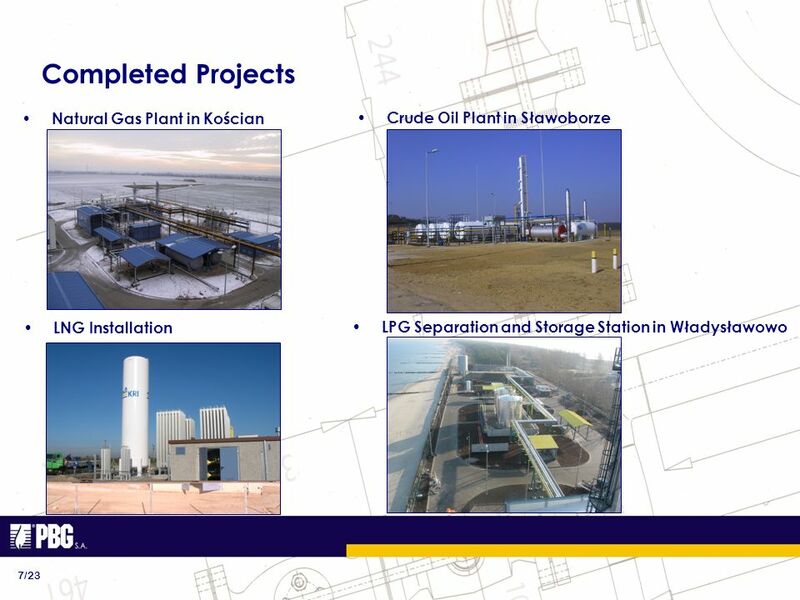 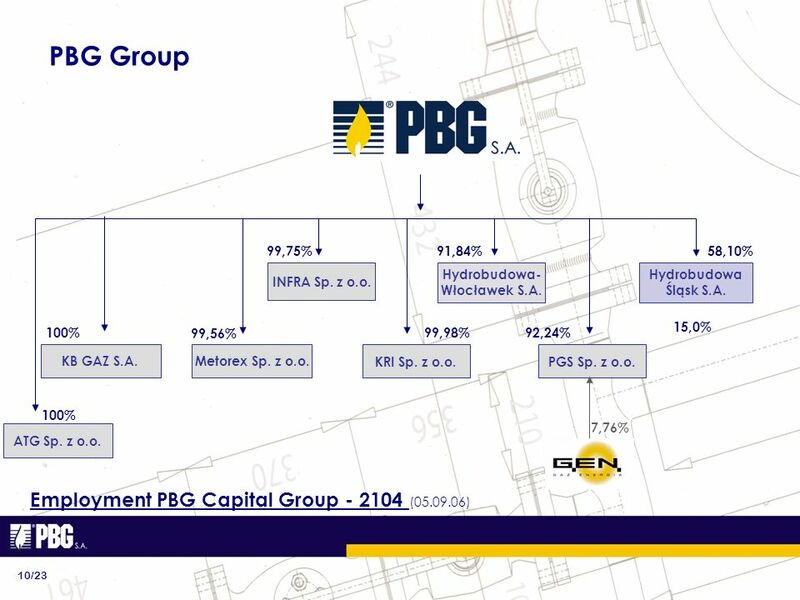 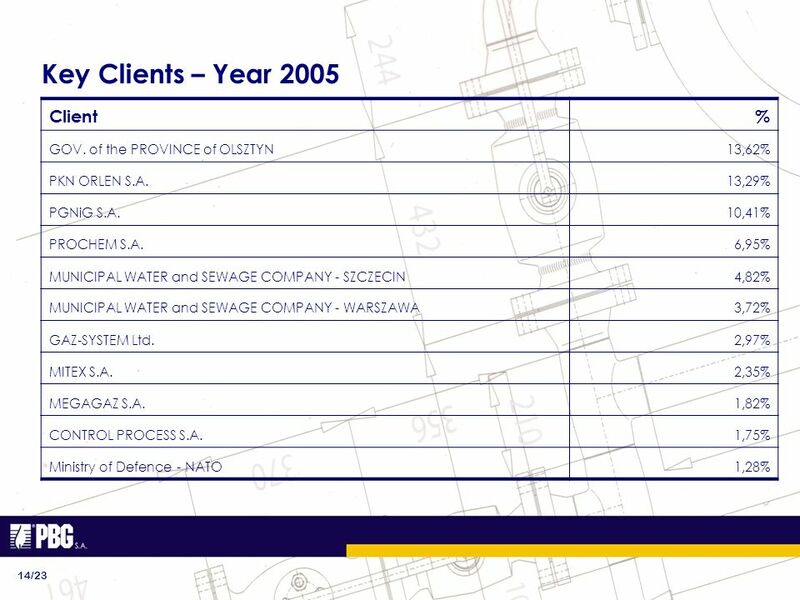 PBG SA 1/23 COMPANY PRESENTATION October 2006 Company you can relay on, according Forbes & PID rating. 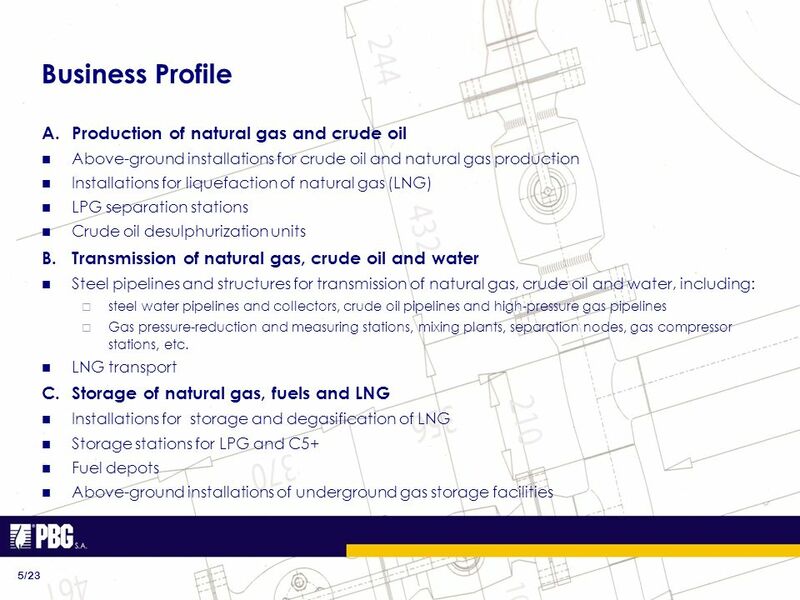 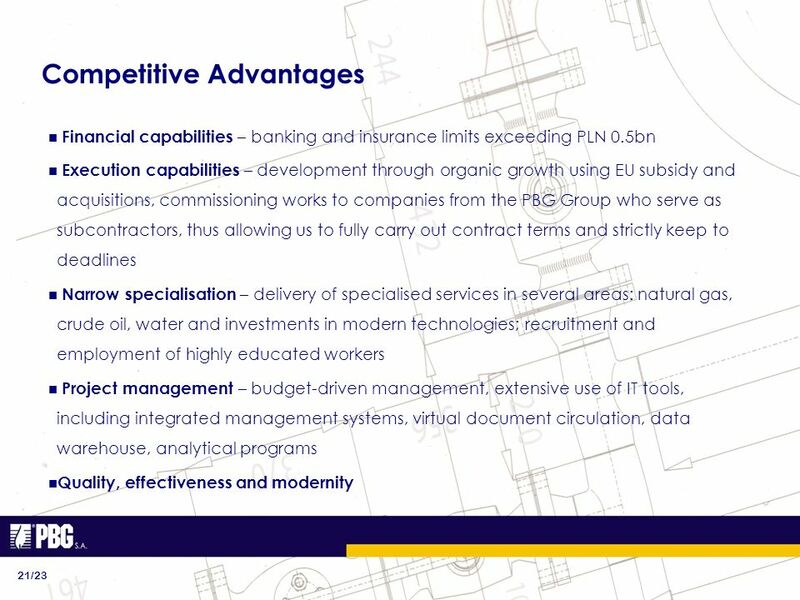 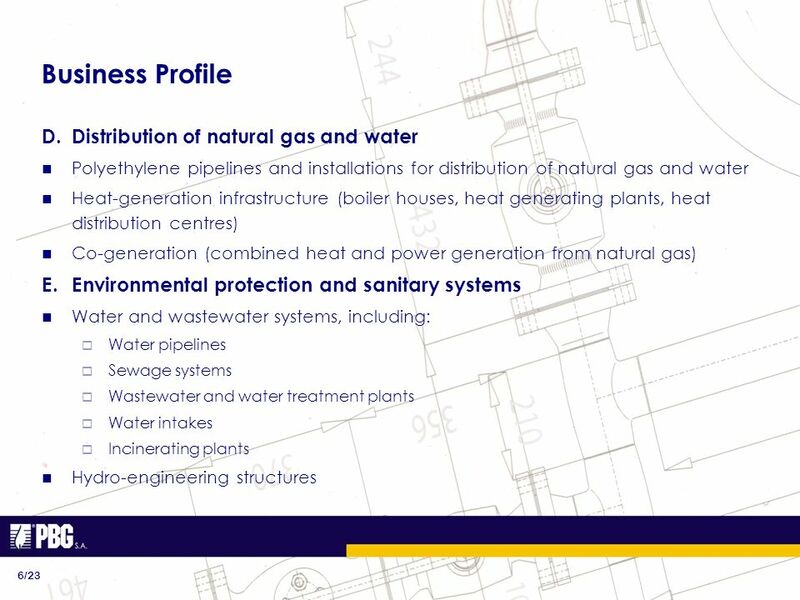 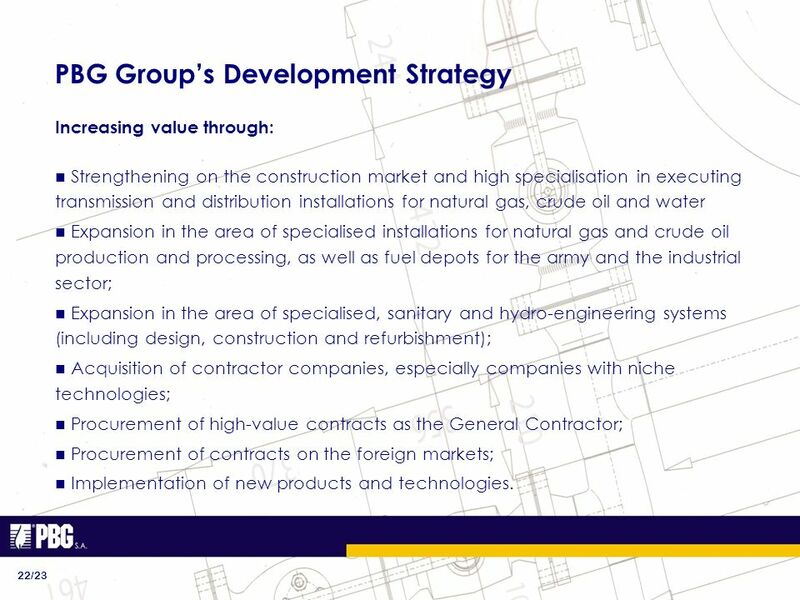 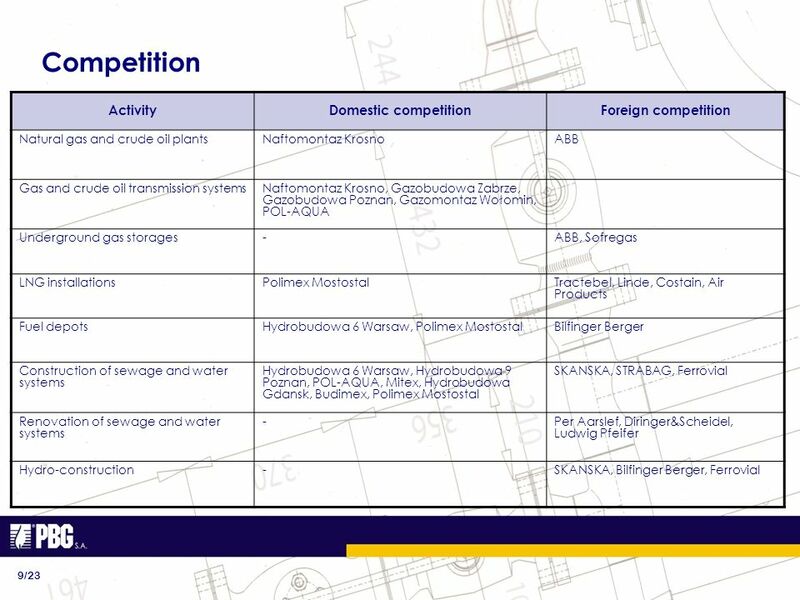 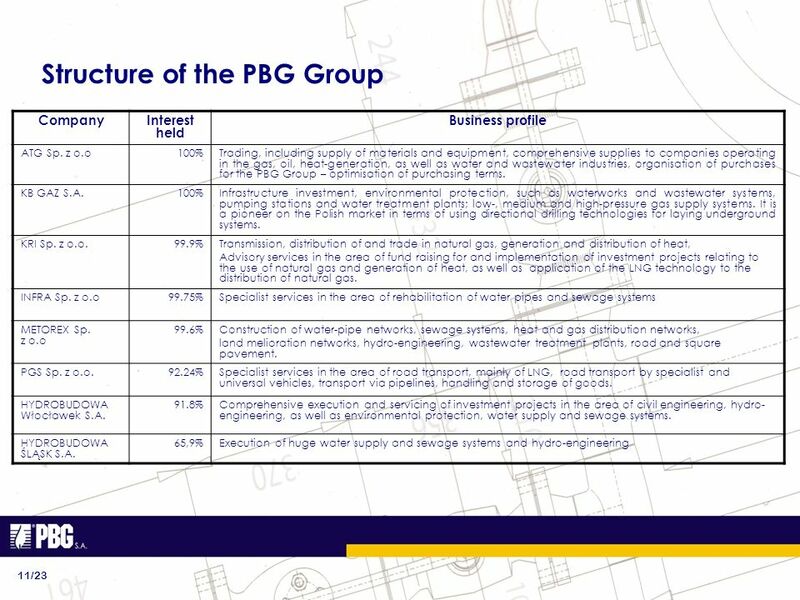 22 PBG Groups Development Strategy 22/23 Increasing value through: Strengthening on the construction market and high specialisation in executing transmission and distribution installations for natural gas, crude oil and water Expansion in the area of specialised installations for natural gas and crude oil production and processing, as well as fuel depots for the army and the industrial sector; Expansion in the area of specialised, sanitary and hydro-engineering systems (including design, construction and refurbishment); Acquisition of contractor companies, especially companies with niche technologies; Procurement of high-value contracts as the General Contractor; Procurement of contracts on the foreign markets; Implementation of new products and technologies. 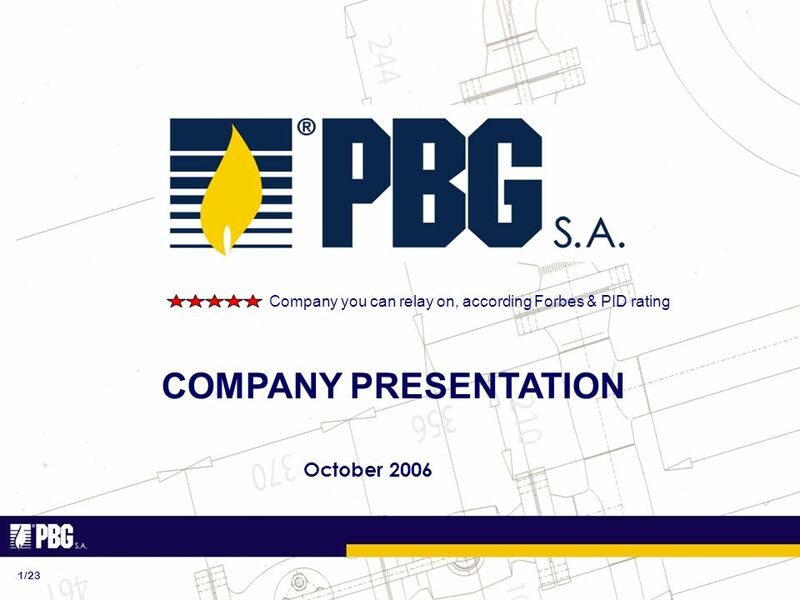 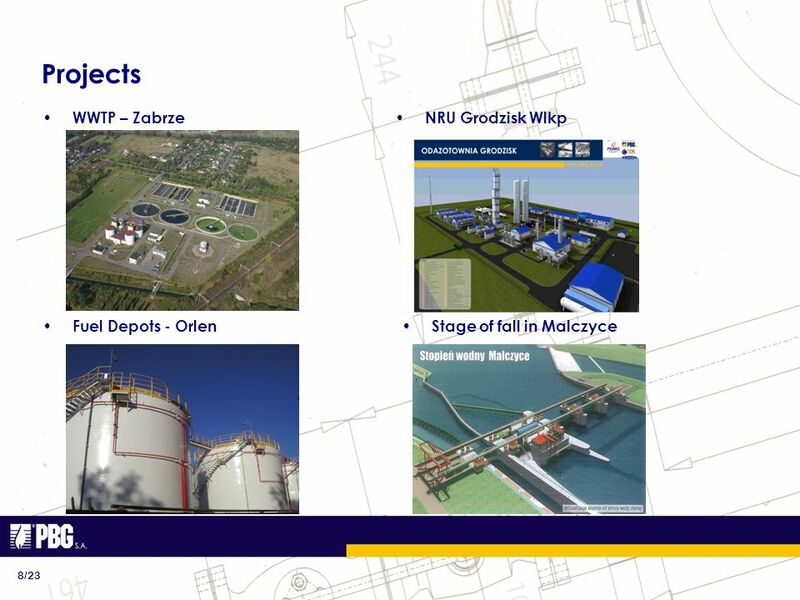 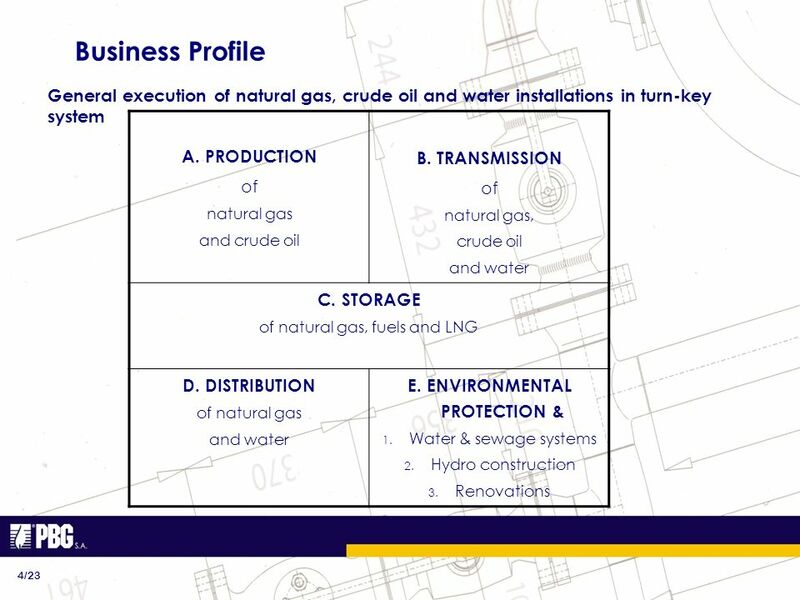 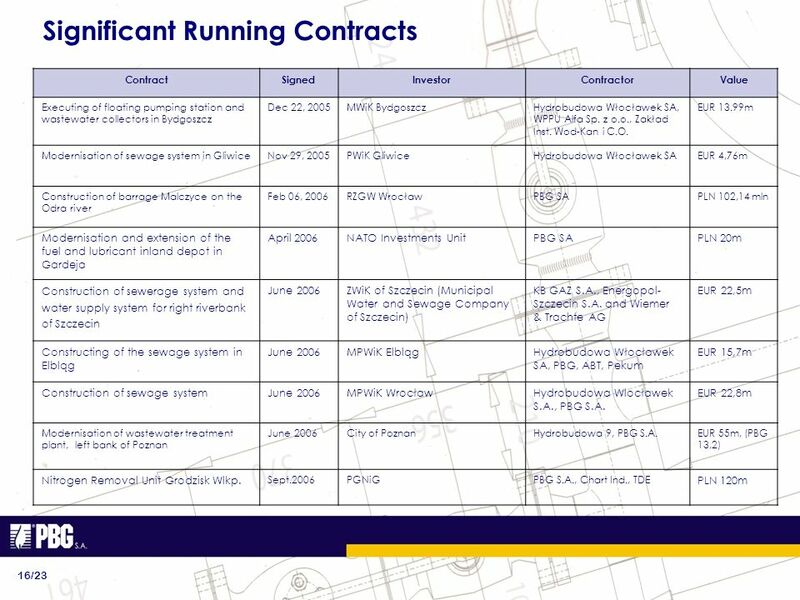 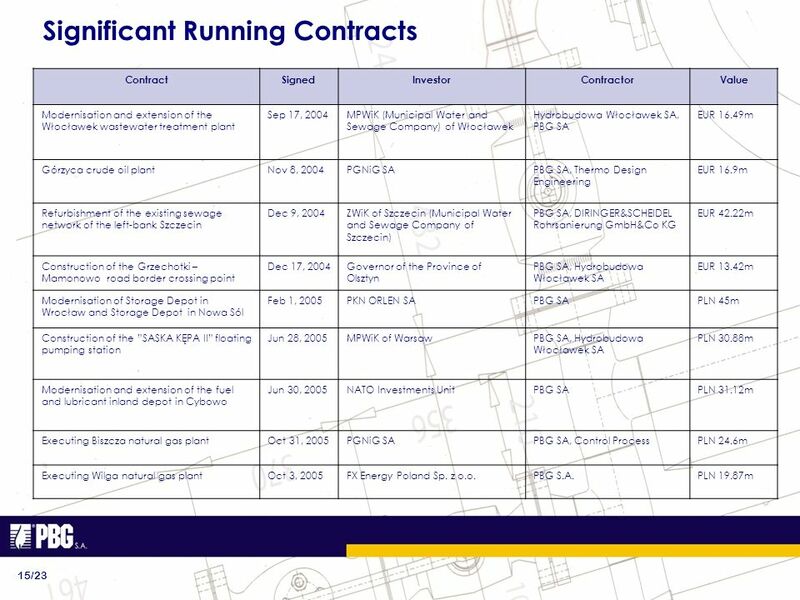 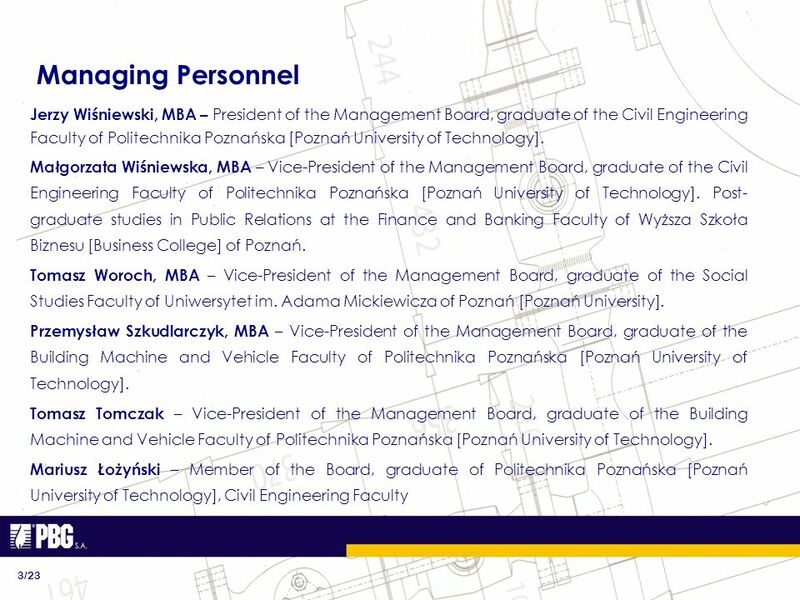 Download ppt "PBG SA 1/23 COMPANY PRESENTATION October 2006 Company you can relay on, according Forbes & PID rating." 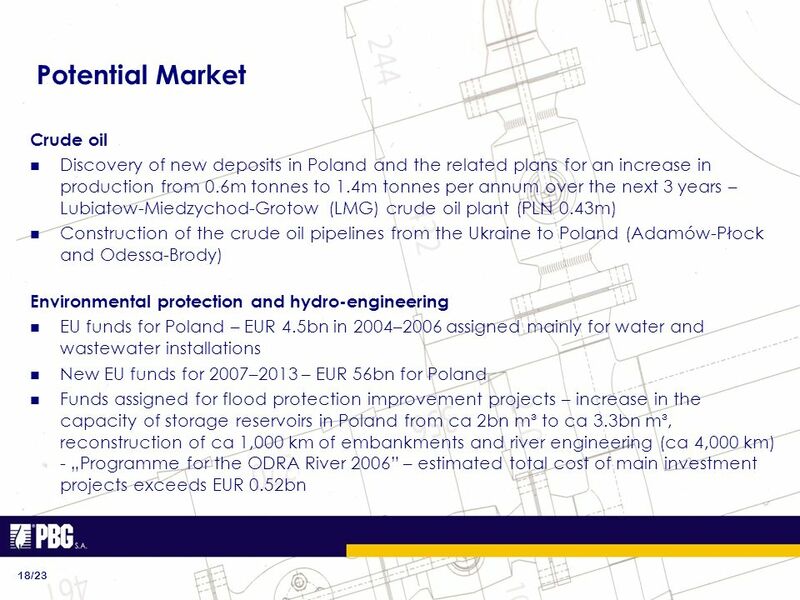 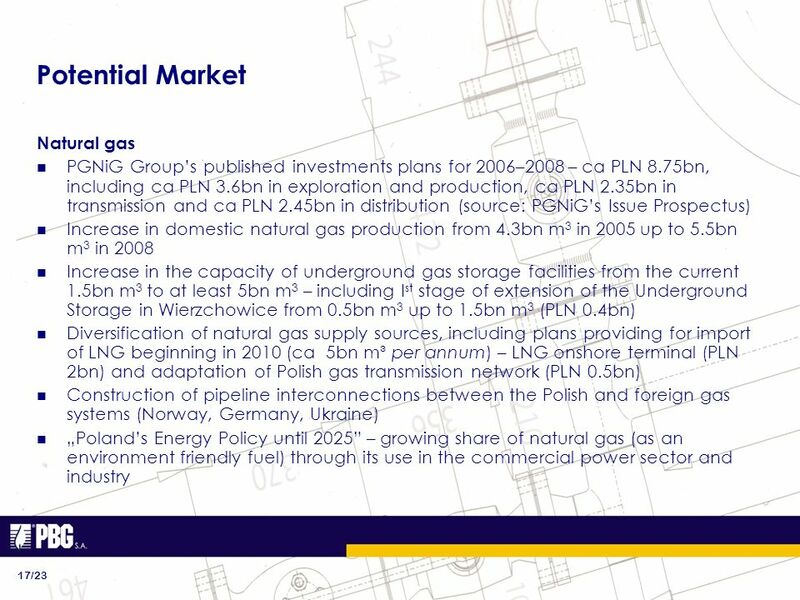 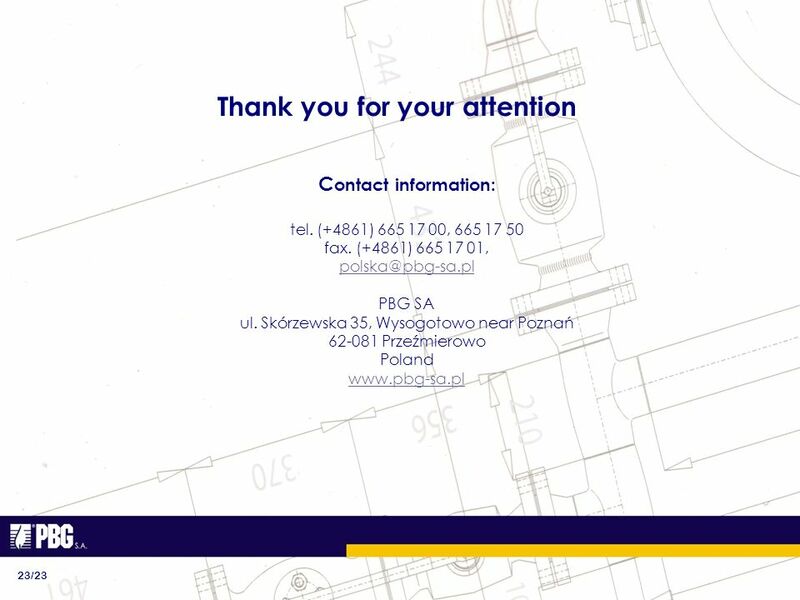 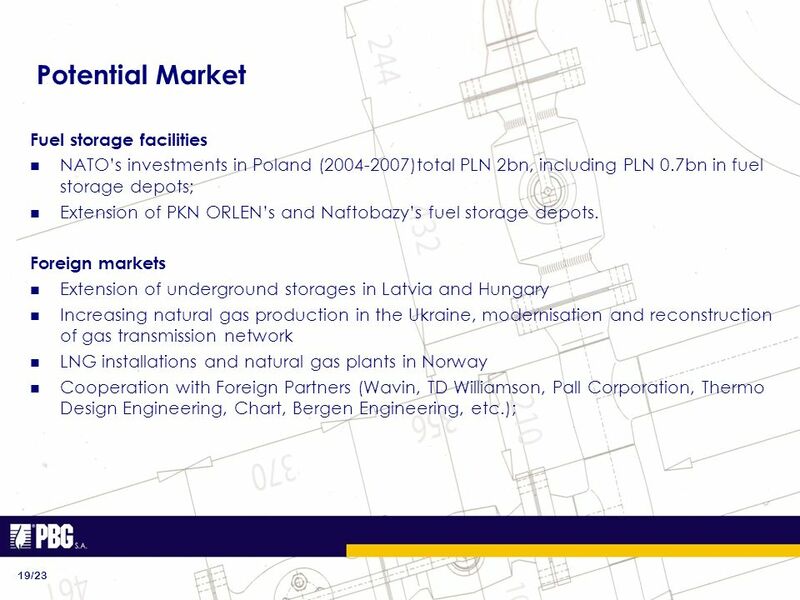 1 Opportunities for Canadian Businesses in EU Funded Projects in Poland. 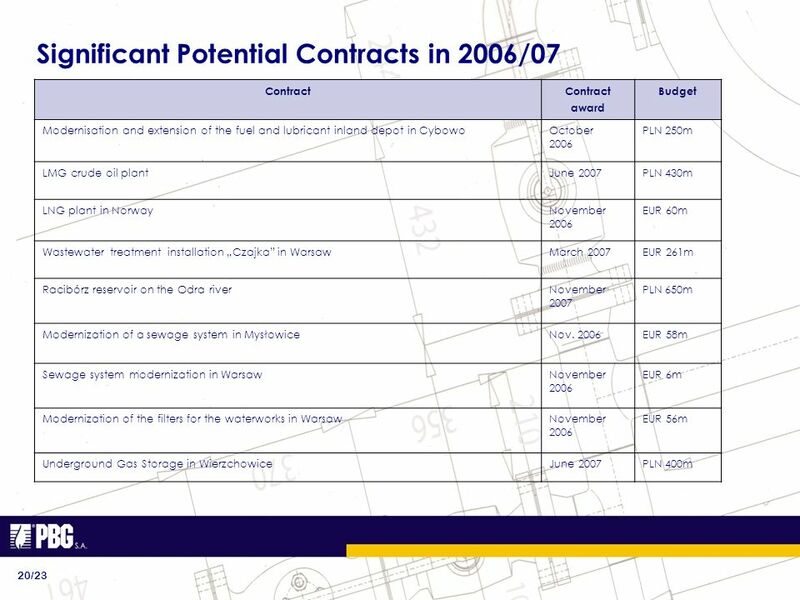 Central Office for Development Strategy and Coordination of EU Funds ABSORPTION CAPACITY FOR IPA COMPONENTS III AND IV IN CROATIA 19 October 2009 Zvonimir.